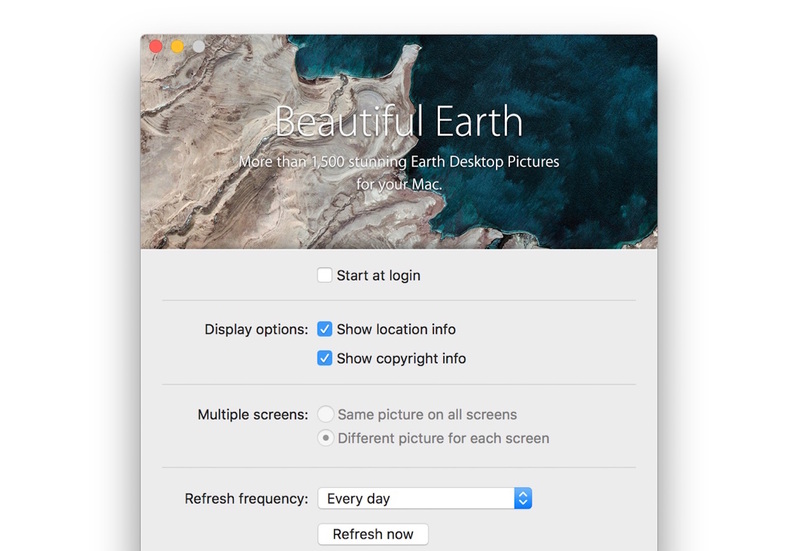 1,500以上の衛星写真を一定間隔でMacの壁紙に設定してくれるアプリ「Beautiful Earth」が無料セール中。 | AAPL Ch. 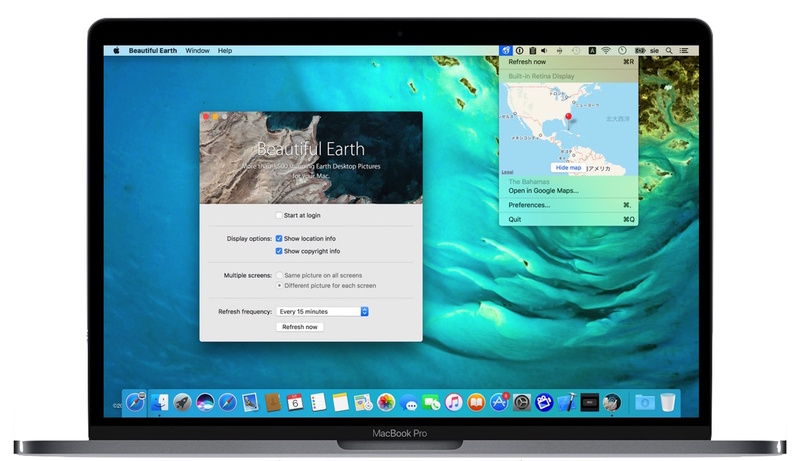 More than 1,500 stunning Earth Desktop Pictures for your Mac. High-resolution satellite images from Earth. Choose the Refresh frequency (from Every Hour to Every Day). Details about the location at the corner of the screen (optional). Runs in the background and can easily be turned on and off. Multi-screens support with advanced options. Very low memory and storage footprint.